Escrick Park is an 8,600-acre (35 km²) estate near Selby and York in North Yorkshire, very near the kennels of the York & Ainsty South Foxhounds. The estate prides itself on its conservation efforts, and even initiatives to protect wildlife. Hunt saboteurs, hunt monitors and the general public have repeatedly observed the York & Ainsty South Foxhounds blatantly breaking the Hunting Act and deliberately hunting foxes in North Yorkshire and Humberside, often on the Escrick Estate. The hunt and its members have been the subject of numerous police investigations, some of which are ongoing. The hunt claims it hunts trails – presumably they mean fox trails. 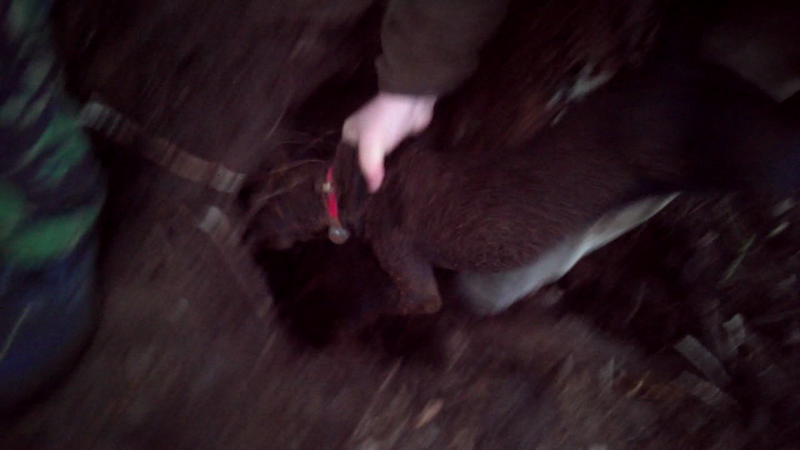 The terriermen of the hunt have routinely made things crystal clear by attempting to dig foxes out from below ground which have taken refuge from the hounds during an average day of Y&AS “trail hunting”. A number of incidents documented on our timeline of events page have led to us now demanding that the Escrick Estate stop facilitating the York & Ainsty South Foxhounds, most notably those of December 28th 2013. At this meet in Escrick Park, 3 foxes were deliberately hunted, one of which was then nearly killed by the terriermen. Over 10 men attempted to illegally dig the fox out of an active badger sett, but were obstructed by hunt saboteurs. One hunt sab was smashed in the head with the pistol the men planned to shoot the fox with and was also knocked down in a field by the men’s pickup truck. 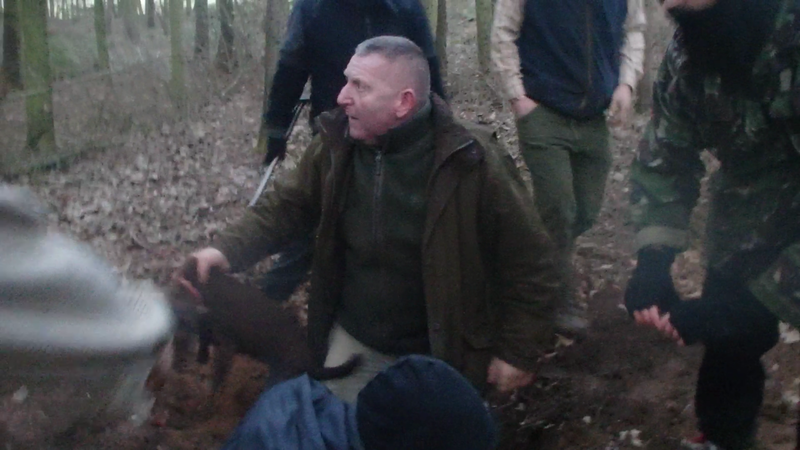 On stopping the dig-out the sabs had to prize a terrier from the fox as it had locked on to the fox’s face. 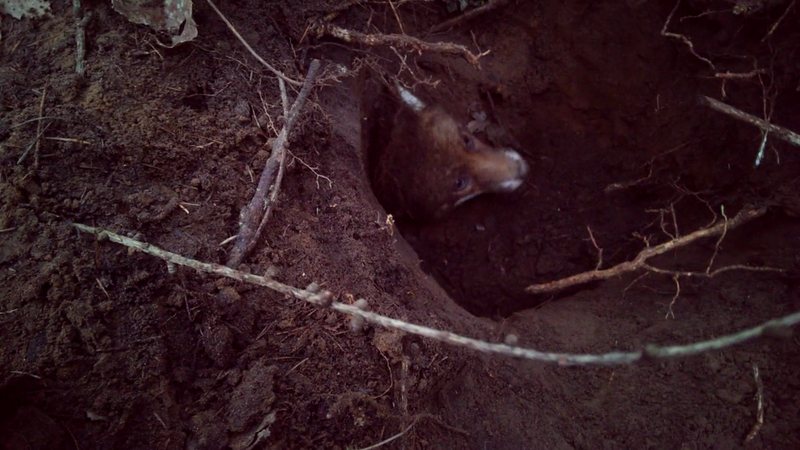 Sabs then had to help the fox free from the earth as the earth around it had been caved in, leaving only its head exposed. The fox escaped with little visible injury, the terrier’s face was badly wounded from fighting the fox. We ask that the estate permanently bans the hunt from hunting on their land. We ask our supporters to contact Escrick Park to ask that they do this, and to boycott the estate until they do.